As helmet technology moves forward, concussion remains an issue, so the question we must ask is whether this is despite improvements to helmets, or because of them? Could the lifestyle of a work rider contribute to the risk of sustaining concussion in a fall, or could a change in lifestyle protect against the risk? Can a poor state of mental health increase the risk of concussion, or is mental health affected by repeated concussion? These are just some of the questions being asked by scientists, doctors and engineers in ongoing research to protect riders. A concussion is a brain injury that occurs when a blow to the head causes the brain to spin rapidly in the opposite direction from where the head was struck and is the most common type of “closed brain injury”, where the skull is not split. Those suffering from concussion may have symptoms such as headache, sensitivity to light, tinnitus, dizziness, sleepiness, confusion and behavioural changes, although many of these symptoms can also be caused by other injuries sustained in a fall and unrelated to brain injury. A specific diagnosis is vital to securing the necessary treatment and correct aid to recovery. Our natural protection comes from cerebrospinal fluid (CSF), which cushions the brain within the skull and serves as a shock absorber for the central nervous system. CSF is often thought of as existing only between the brain and the skull, but the brain has a much more complicated structure and CSF also fills a system of cavities at the centre of the brain, known as ventricles, as well as the space surrounding the brain and spinal cord. 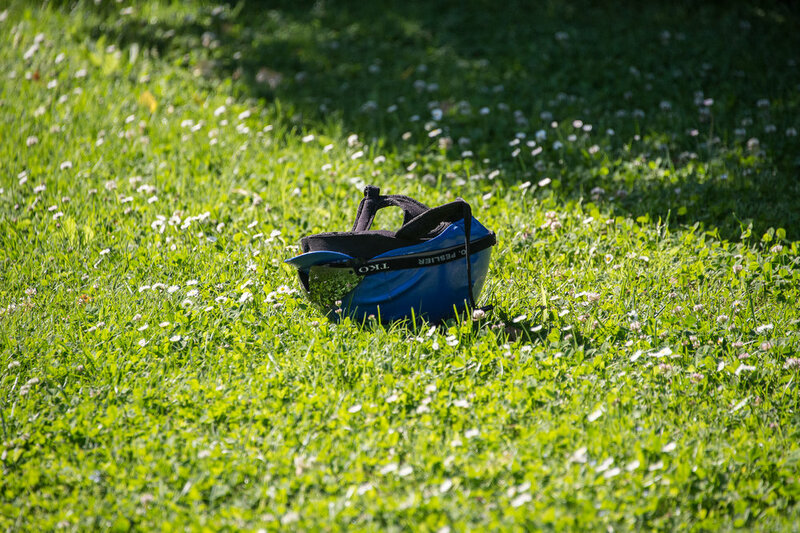 To improve performance for concussive injury, helmet technology needs to be rethought. Several research projects have risen to this challenge, with help from the sporting communities most at risk. A key player in this research is the NFL and in 2016 pledged $100 million, to become one of the largest funders of concussion research in the United States. Its "Play Smart, Play Safe" initiative aimed to spend $60 million to create a safer helmet as a means of reducing concussion, joining with global sports organisations such as the NHL and World Rugby. Another major research group is HEADS, an Innovation Training Network funded under the European Commission’s Marie Sklodowska-Curie Programme, structured around 13 individual research projects focusing on the three main topics of accident reconstruction and simulation, head model refinement, and helmet certification improvements. This involves six partners, three industry and three academic, across five countries, who are already involved in working towards new helmet standards: Lead Partner, University College Dublin, Ireland; KU Leuven, Belgium; KTH-Stockholm, Sweden; AGV, Italy; Lazer Sport, Belgium; and Charles Owen, Britain. Charles Owen is widely recognised as one of the leading manufacturers of riding helmets and the company was chosen in 2015 as one of five first-round winners of the $60 million Head Health Challenge presented by the NFL, to develop new advanced materials for helmets.